NOVICA.com is a thrilling site that I discovered a couple of months ago, and I have been totally obsessed with them ever since. They partner with National Geographic and act as a liaison between international artisans and the online world. They offer three different categories of art - Home Decor, Handmade Jewelry, and Paintings. On each product that you look at, you will find a photo of the artisan and their story. It is so amazing to get to experience their stories in this way! I have been so happy with all of my purchases, and am constantly amazed by all of their personal touches and the quality of their jewelry! If you would like the chance to win a $75 gift certificate to be used for any product on NOVICA’s amazing site, go visit their site and come back and tell me what you might buy with it. Best of luck! This giveaway is open until Monday, September 13th. The winner will be randomly selected and posted on Tuesday, September 14th. Disclosure: I received a gift certificate that partially paid for the products that I ordered from NOVICA so that I could review their site. But I have bought other products from them on my own and absolutely love them. My opinions are, as always, my own. We had a wonderful meet-up today at The Red Cat! The Red Cat is, apparently, THE place to hang out if you're a Social Medialite - besides the 10 or so people that came to the meet-up, there were about a half a dozen other recognizable Twitter people there and next door at The Cantina. Who knew - I guess everyone but me. We had some great conversations about all sorts of Social Media related (and not related) subjects, and it was great to see everyone there! If you weren't able to make it today, I hope you can come to September's meet-up!! Details coming soon. 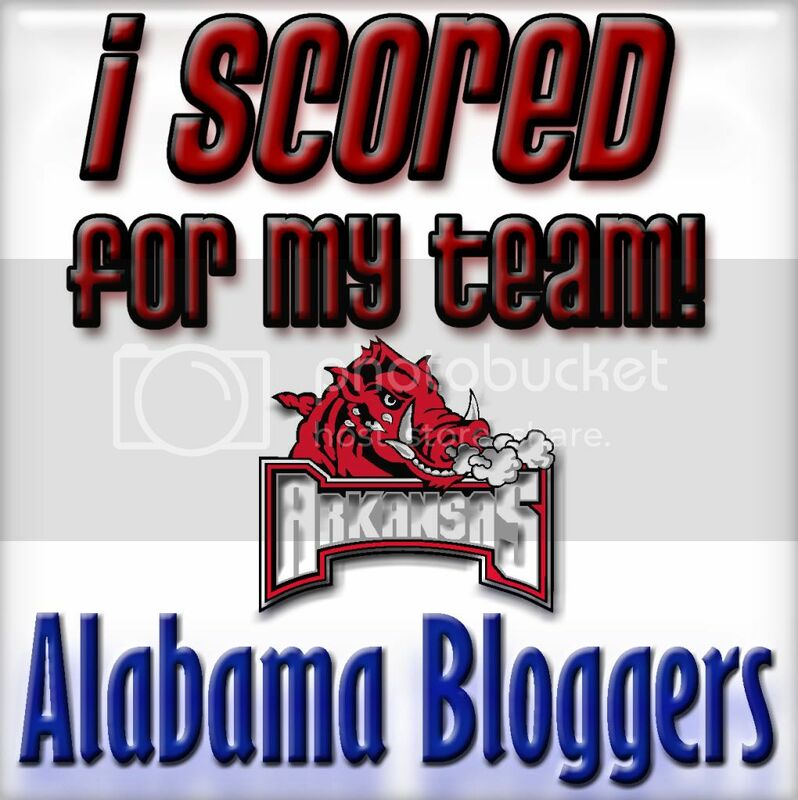 Don't forget that Friday is our August Alabama Bloggers meet-up! We will meet at 11:30 at The Red Cat downtown in the Martin Biscuit Company building next door to Dr. Pepper Building. It looks like we have a great group so far, so be sure and come if you can make it! If you can, RSVP on this post or on the original one, and if you want to tweet about it, the hashtag is #AlaBlogMeet ! Also, don't forget about the Score for your Team Carnival! The bloggers that have linked up so far have written awesome posts about football - be sure to hop over and read them!! So far, the schools that are represented are Alabama, Auburn, Tennessee, and Penn State. There are multiple ways to score, so be sure and get your entry in for your school!! The prizes from Baha Burger and Taziki's are still up for grabs!! Fiona contacted me from Birmingham UK with a series of posts contrasting the two Birminghams. She visited our Birmingham and saw many similarities with her own, and wrote a fascinating series of posts on them. She has kindly offered for some of them to be reprinted here - I'm sure you'll find them as intriguing as I did! Did you spot which was which? Click on the pics to see them at a larger size. The Score For your Team Football Carnival has officially begun!!! The link-up is at the bottom. Although the button above just shows Alabama and Auburn, You can participate in this carnival no matter what team you root for!! If I don't already have a button available for your school, ask me for one and I’ll make it! 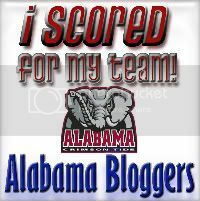 Participating is a great way to get to know other Alabama Bloggers, have other bloggers visit your blog, and a fun way to celebrate the onset of football season. And as a bonus, we have two amazing sponsors that will be rewarding some of the participants! The amazing Birmingham Gourmet Burger joint, Baha Burgers, will be providing $10 gift cards to five randomly selected participants. You don’t have to be on the winning team to win one of these – you just have to participate in the Carnival. And the grand prize is provided by Taziki’s Mediterranean Cafe – one winner will be chosen at random from the winning team to get a tailgate party catered by Taziki’s for 10 people! Thank you SO much to Baha and Taziki's for their wonderful prizes!!! 1. 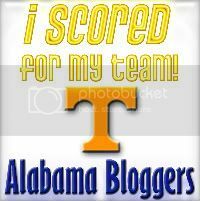 Field Goal: You score three points for your team if you put your team’s button on the sidebar of your blog (buttons will be below). 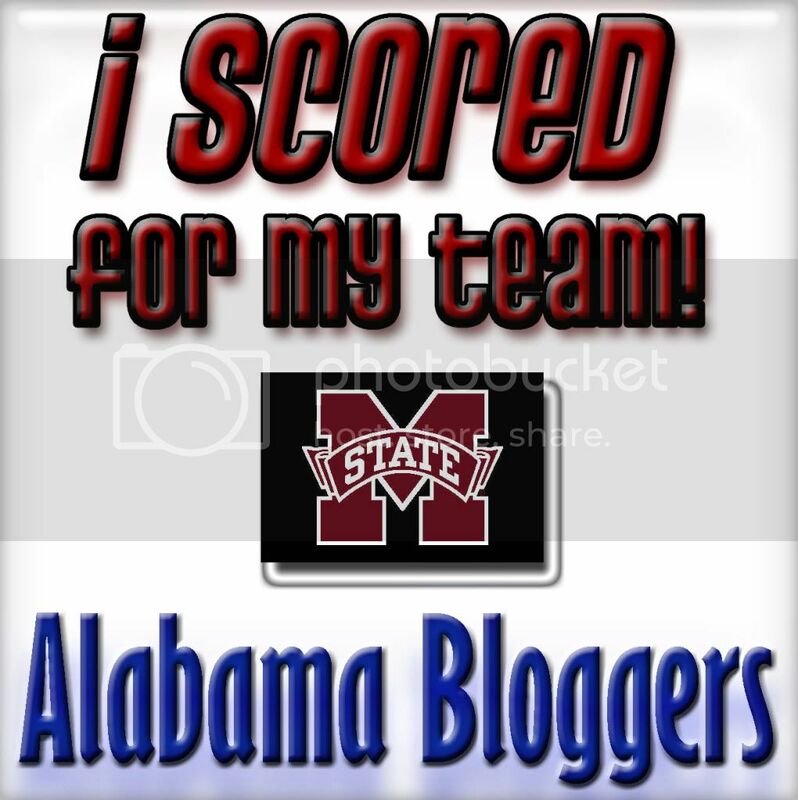 Be sure to comment on this post or the next post that you added the button so I can properly add your field goal! 2. Touchdown: You score seven points for your team if you write a blog post about your football experience/team/thoughts with your team’s button at the top, and you link up to THIS POST (the link-up is at the bottom). 3. Extra Point: You can score one extra point for your team by tweeting or facebooking about the Football Carnival. Be sure to comment on this post or the next post that you tweeted or facebooked! You can link up your posts anytime between now and Monday, September 6th. The winning team will be announced on Tuesday, September 7th, as well as all of the prize winners. As far as the prizes go, you will get one entry into the drawing for the prizes for each point you score for your team. liking Baha Burgers on Facebook. Again, let me know that you earned any of these entries in a comment so that I can credit them to you!! You can put all of your extra entries and information into one comment, as I'm keeping a spreadsheet of points and entries. 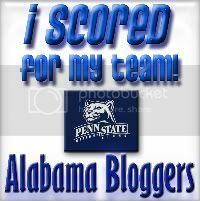 Be sure to watch Twitter and the top of this blog for score updates!! 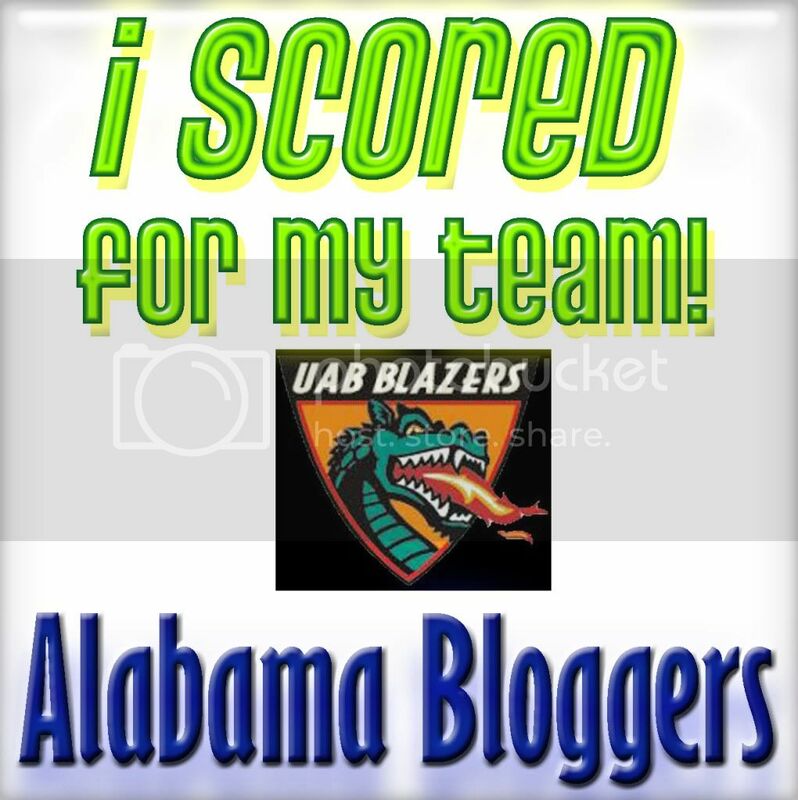 Here's the Link-up - be sure to link the specific URL of your Score for your Team post - not just to your main blog URL. If you have any questions as to how to do this, let me know!! Be sure to go visit the other participants and read about their Football Experience! 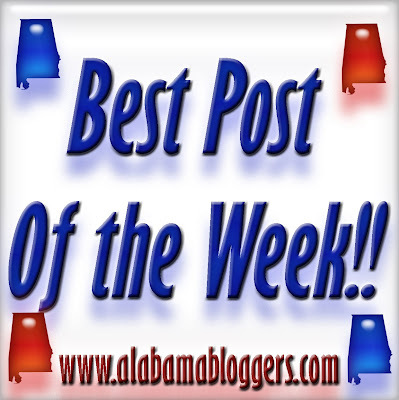 Social media has become a part of just about everyone’s life, and if you’re a candidate to be the next governor of Alabama, social media may be essential to your career. 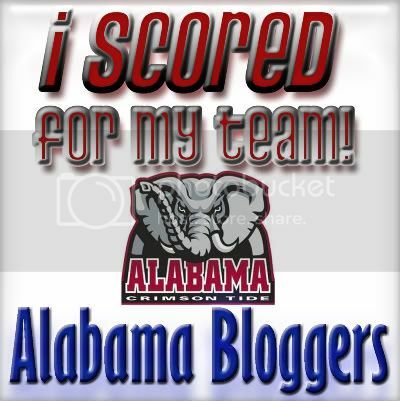 Ron Sparks and Robert Bentley both have extensive social media networks spreading multiple platforms. But how important is it for them to be highly visible online? Let’s find out, and then see who would win the election if social media was the determining factor. According to a Harris poll, four out of five adult Americans use the internet (What’s the deal with that other 20%? ), and the average adult spends more than 13 hours online per week. If you’re in your thirties, you spend more time than any adult group online at 18 hours per week. Social media popularity is up well over 40% year to year. Let’s frame it this way, would you be more likely to click a link from a wall post and tweet about a candidate or sit and listen to a robocall on your landline (if you still have one…)? I thought so. So social media is important, and it’s transforming politics. There’s probably just as good a chance you saw Tim James’ commercials on YouTube as on local television, and who didn’t check out basilmarceaux.com in the last few weeks? And it’s not just the funny stuff making an impact. Do you remember in 2008 when Barack Obama raised half a billion dollars from three million people online? He changed the rules on using the internet in campaigns, captivating millions of young people and generating a grassroots campaign that couldn’t be stopped. I believe that because of the November 2008 election, a politician’s involvement in social media of some sort is now absolutely mandatory. I know that a candidate’s social media network doesn’t physically get them elected, but I do think it can make a significant difference in a campaign’s ability to get the message out. Sarah Palin post-election anybody? I can’t go a week without hearing on the news about a status update or tweet she’s made to one of her nearly two and a half million combined followers. I also guarantee you that any consultant worth their salt makes social media an immediate and consistent priority for all of their campaigns. So let’s take an assessment of Ron Sparks and Robert Bentley’s social profiles and see if we can guess, based on their social media standing, which candidate will come out on top in November. No account, limited pictures on website... has opportunity here. Both candidates are doing a pretty decent job at social media. However, I’ve got some advice for each. Bentley is leading Sparks in terms of his social media diversity, with significantly stronger Twitter and YouTube followings plus the Flickr bonus, which is a nice touch for people to see themselves in his photo stream after campaign events. Bentley is probably at a bit of an advantage for overall network presence because of the extra attention he received in the runoff. Sparks should probably utilize twitter more often and give social media a stronger presence on his website, as his links are currently not very appealing and they are down on the bottom left of his home page. He does show progress with his YouTube account, answering questions from Facebook via video, but I’d recommend they edit the introductions a bit before posting to keep the personal touch but make them feel slightly less makeshift. However, Sparks absolutely trounces Bentley on Facebook because of one key blunder by Bentley. Sparks has both a personal profile and a candidate page. The difference is that someone can only have 5,000 friends on Facebook, which both of them have maxed out (the actual number will consistently hover just under 5,000). With the candidate page, Sparks can have unlimited followers, and therefore an unlimited number of people involved with that aspect of his social media campaign. So Bentley, without any candidate page, has already peaked with his Facebook presence more than two months before the election! He will need to change this as the election gets closer and more Alabamians get more involved in the process. If he doesn’t he’ll be foregoing a real opportunity to connect with voters. All in all it is a touch call to determine which candidate has the greater social media presence. Bentley is more diverse and has more followers on non-facebook sites, but is making a serious social media mistake by not having a candidate page on Facebook. Sparks has a strong and involved Facebook following and is showing promise on YouTube with the recent videos, but really needs to work on maximizing his Twitter presence. I actually think the social media election for Alabama governor is a toss up right now. Both candidates have strengths and weaknesses, but it’s just too close to call either way. What’s your vote? Brian is an engineer working in Birmingham, AL. He likes to hang out with his wife, Erica, and his blue great dane, Lucy May. He can be found at his blog or on twitter. Second Annual Score For Your Team Football Carnival!! Football season is approaching rapidly, so that means it’s time for everyone to show their school spirit! Last year, we had the first carnival to see how the blogosphere divided up according to the rivalries of our state. 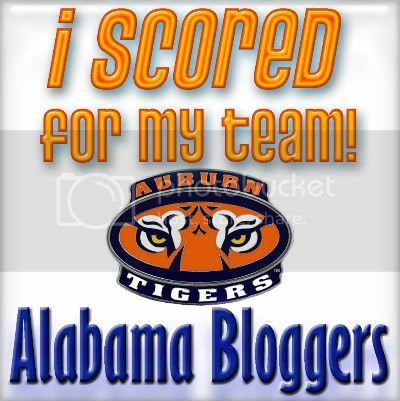 Alabama won last year, and Auburn was second, ALMOST overtaken by Arkansas fans! 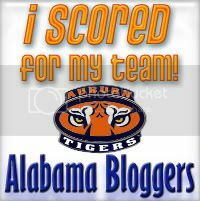 So I fully expect Auburn to step up to the plate this year and show their competitive spirit. If you haven’t tried Baha Burgers yet, you’re missing out! They have the most delicious hamburgers in Birmingham. They have two locations - Chace Lake in Hoover and the Colonnade on 280. They have gourmet burgers of every variety, including Angus Beef, Lamb, Pork, Turkey, and Chicken! You can pick one of their finely crafted and topped burgers, or you can select all of your own toppings from their extensive list! They also have a choice between regular fries and sweet potato fries, both coming with fried okra mixed in with them. It’s a MUST TRY experience. Taziki’s Mediterranean Cafe currently has seven locations – six in Birmingham and one in Huntsville - and will be soon opening new locations in Tuscaloosa and Morgantown, WV. They serve up an amazingly delicious variety of Mediterranean inspired cuisine, with choices for everyone. If you win the grand prize, you can choose a catered meal for ten people of either Chicken Roll-ups with fruit and chips or the Friday Special, which is one of their customer favorite dishes of Grilled Chicken and pasta tossed in homemade balsamic vinaigrette and served on a bed of mixed lettuces with feta, tomatoes, and fresh basil. 2. Touchdown: You score seven points for your team if you write a blog post about your football experience/team/thoughts with your team’s button at the top, and you link up to the Score For Your Team Post that will go up next Tuesday. Again, let me know that you earned any of these entries in a comment so that I can credit them to you!! The link-up will go live Tuesday, August 24th. You can link up your posts anytime between then and Monday, September 6th. The winning team will be announced on Tuesday, September 7th, as well as all of the prize winners. You can go ahead and start scoring field goals and extra points now – again, if I don’t have one for your favorite school yet, let me know and I’ll make one!! Let me know if you have any questions about how the carnival works! !